Google has made changes in their algorithm for how pages (and your web site) appear in the search engine results page (SERP). These changes are going to keep SEO marketers and web designers on their toes and make them rethink some of their tactics. Fast Page Indexing - The indexing time required is down to about 15 minutes now when you use Google Webmaster Tools with a dynamic sitemap. This means that new, relevant and frequent content will make even more of an impact in search engine rankings. Load Time - Google engineers have been talking for a while about including “load time” of a web page in the algorithm for results. Even more of a reason to make sure that your site loads quickly including proper image compression and optimized page elements. This is bad news for Flash sites because they are slow loading - we have talked about the disadvantages of Flash in other posts. But even more so now, do not expect to rank high with sites developed in all Flash. Age and Stability of Links - It will become very difficult to push up a pagerank in a short period of time with paid links because the new algorithm is taking into account the age of links. Links that are older with proven stability will make more effect on search results. If your SEO/SEM plan includes link buying, be sure you purchase for a time frame of at least 8-12 months. Of course, naturally building links is even better! All in all, your SEO results will see the biggest increase from consistent and relevant content additions. High quality content offers an organic way to build back links as well. TBH Creative is determined to stay on-top of search engine optimization techniques and the changes in popular search engines such as Google. 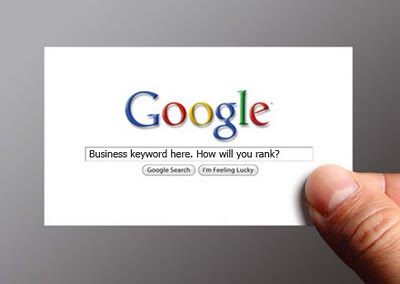 Your web site ranking is important to your success and therefore important to us too. Contact us today for a free evaluation of your current web site.